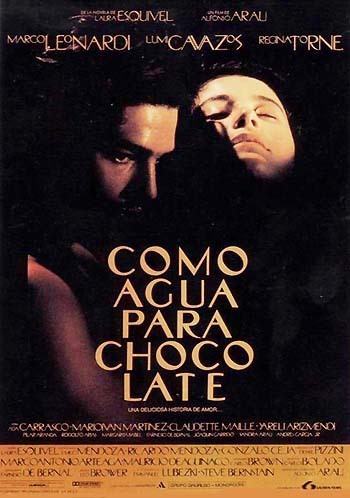 I've just finished reading Like Water for Chocolate, the first novel by Laura Esquevial. Set in early 20th century Mexico, this novel explores the mystical link between cooking and passion. Denied her true love, Tita, the protagonist, experiences torrid emotions while cooking for her (dysfunctional) family, sparking either fits of depression or wild orgies in those who consume her exquisite meals. Daily life and the extraordinary, culture, family, love and food all intertwine in this surreal novel. Each chapter opens with a recipe. While as a health lover I'm not inspired to suddenly produce meals using so much meat or heavy cream, the traditional Mexican and pre-Hispanic recipes have me enthralled.